Metal Unlimited has been producing high quality steel home decor and monograms for countless customers across the United States. They want to show you why they should be your first choice for metal home decor item. 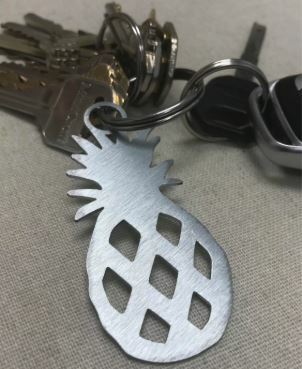 Let them showcase our high quality products by mailing you a completely FREE Pineapple Keychain! This Pineapple Keychain is only available for a Limited Time!